I’ve never met a lentil dish I liked – until I started experimenting with lentil flour. I have issues with digesting gluten and food gums (carrageenan, guar, agar agar etc…). There are plenty of gluten free flour mixes, and products out there, but most of them have gums to replace the gluten, and are fairly devoid of nutrition with their potato, white rice, and tapioca flour blends. Lentils on the other hand are 8% fiber, 9% protein, with good amounts of iron, B6 & magnesium. Finding lentil flour can be a bit difficult unless you have an Indian grocery store nearby. 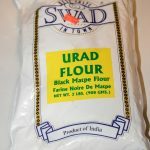 It will be labeled as Urad Flour. 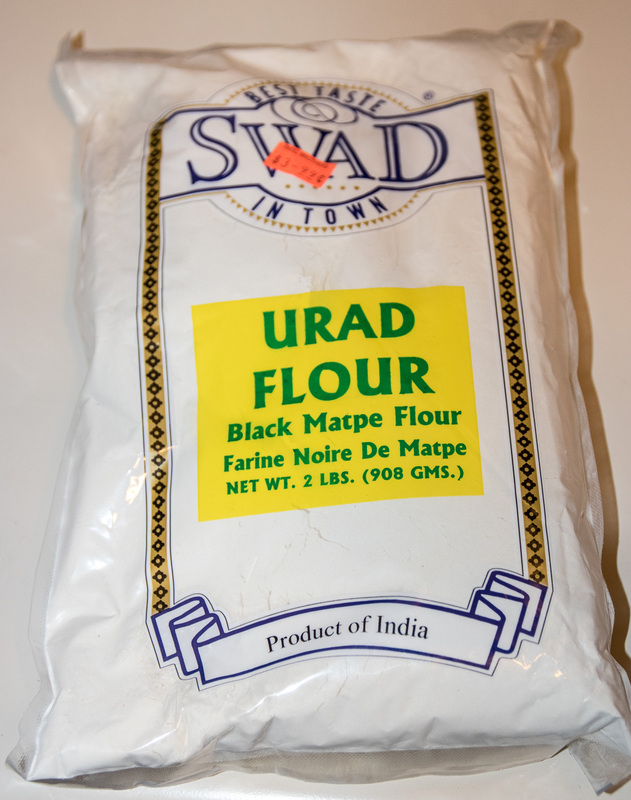 If you can’t find Urad Flour and have a very powerful blender handy, or a flour mill, you can take your pick of whole lentils and make your own flour. So far, I’ve tried a few different preparations for leaven bread, flat bread, pizza crusts and yes, even cookies. There are even lentil pastas out there, but they’re expensive, I’d like to try a homemade lentil pasta sometime soon. The flour requires less water than you would expect. A 1:1 ratio by volume is probably the maximum you should ever use, as any more won’t cook properly, and you wind up with a hot goopy mess rather than something edible. A crisp, dense pizza crust will be about a 2:1 ratio. Lentil flour mixes take to rapid chemical leavening for rise more so than yeast leavening – it’s like a slow leak in a tire, faster increases of volume will do more than slow increases. The flour is very sticky when wet, and dries like concrete. The 1:1 ratio is easier to work with, and can be spread onto a hot surface for a pancake like preparation. For drier preparations, the firm dough can be drizzled in oil on a piece of parchment paper that can be folded over and pressed down to the desired thickness which can then be cooked in a large skillet or griddle, and when fully cooked the parchment paper will detach. Do not delay cleaning the dishes. I’ll post some recipes later on.